Catalog Page 37B. Bean bag animals with custom printed t-shirt. 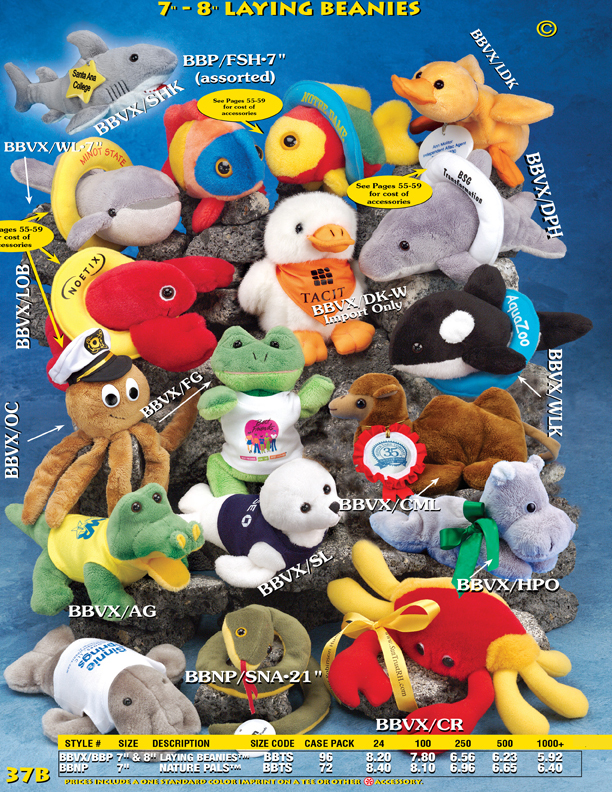 Order 8" laying beanie animals include a printed t-shirt featuring your logo or slogan. Our bean bag animals include a alligator, seal, snake, crab, manatee, frog, octopus, lobster, tropical fish, hippo, camel, dolphin, shark and duck. Buy a personalized bean bag animal for your next promotion or trade show giveaway.